Video Downloader is a tool that help you download videos from YouTube, Vimeo and Dailymotion websites. 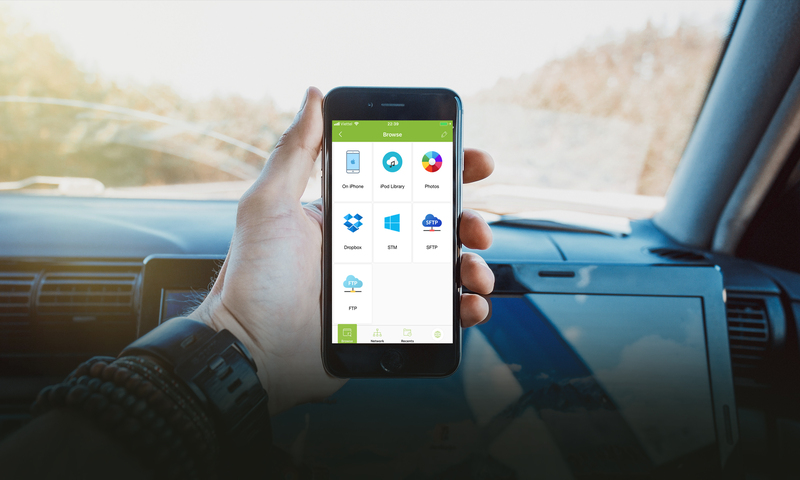 It is integrated with app’s built-in browser. When this add-on is activated, a small Download button will be available at the right bottom of the web browser screen while you are on YouTube, Vimeo or Dailymotion websites. 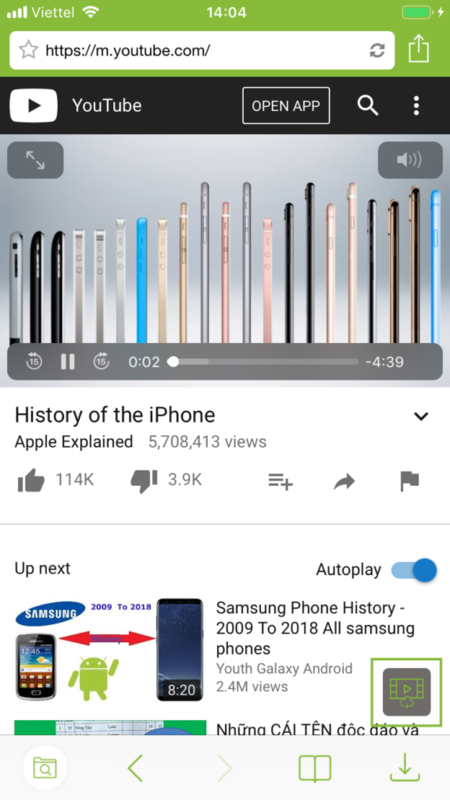 Tap on the Download button will show a list of video resolutions, here are the list of them: Low Video (240p), Medium Video (360p & 380p), SD Video (480p), HD Video (720p), Full HD Video (1080p), Ultra HD Video (1440p). You can download videos by getting links from any sources such as YouTube, Vimeo, Dailymotion apps or Safari browser and paste them into FSharing’s built-in browser. 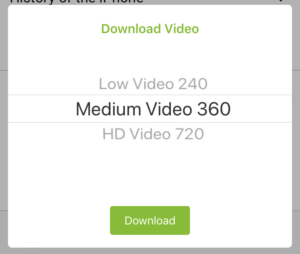 You can download videos in background. After downloading you can switch to another app or even lock your phone screen downloads are still running in background.